follow-up emails, customer service announcements, invitations — anything! 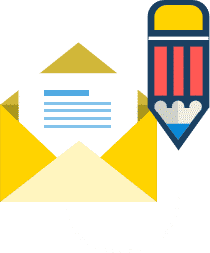 Email Marketing from BUYHTTP that allows you to manage any size email list.Email Marketing offers a large number of features to take all of the hard work out of your email marketing campaigns. If you’d like to see myMail in action before signing up for an account, please Contact us for a demo. See all of your important info at a glance. See useful stats for all parts of your campaign at a glance. There are several tools for managing your email contacts. myMail is a powerful, all-in-one email marketing software that’s incredibly easy to use. Take a look at our list of benefits and we’re sure you’ll agree. Personalize your customer relations. Studies have shown that people respond better to emails that actually address them via their first name. myMail allows you to capture your subscribers first name, last name, age, salary — even their shoe size — when they signup to your mailing list. You can then use these fields in your email to deliver personalized content. Improve sales and increase revenue. Selling a product or service from your website? Why not use myMail to send a series of follow-up autoresponders to your potential customers after they signup for your newsletter? You could send them a free whitepaper, more information on your products, or even a “subscriber-only” discount. Your imagination and creativity really are the only limits! Build trust in your subscribers. One of the most import steps in the buying process is to establish trust with your visitors. By starting your own weekly or monthly newsletter, you’re establishing your website as a credible source of information, which helps your visitors build up their trust in you. Unlimited number of subscribers and lists. Create hundreds or even thousands of mailing lists and either import your existing subscribers or use myMail to automatically create a subscription form for your web site.you. Complies with email laws. myMail includes powerful permission features, such as double opt-in confirmation and one-click unsubscribe which puts you in control of your email marketing campaign. The “All-In-One” Solution. myMail includes everything that you need to run your email marketing campaigns – a list builder, subscription forms, autoresponders, newsletter editor, tracking, reports and more! Works in all common web browsers. myMail works with all common web browsers, including Internet Explorer, Mozilla and other gecko-based browsers! Create emails in text, HTML or “multi-part” (text and HTML) formats. myMail will make sure that your subscribers email client automatically shows the format that is best suited for their PC — automatically! On-queue autoresponders. Create a series of unlimited text/HTML autoresponders and have myMail send them to your new subscribers automatically. Send and schedule newsletters via cron. Now newsletters, as well as autoresponders can be sent and scheduled without leaving your browser open. Send to huge mailing lists. Sending emails with myMail has been tested successfully with over 500,000 subscribers, so no matter how big your list grows, myMail can keep up. Automatic link tracking. All links in your newsletter can be tracked for click-thru stats which you can then view and download. Advanced tracking and reporting. myMail automatically tracks and reports how many subscribers open your emails, which links they click on, etc. Then, from the myMail control panel you have complete access to this tracking data in easy-to-view reports. BUYHTTP offers a number of additional services to complement your web hosting plan. Please select an option for more details. Secure the domain you want today before someone else can get it. If you want to secure your website for any reason, we have a full line of certificates to fit any need and budget. Are you having problems with your Joomla or WordPress site? Our professional services can help with almost any problem you might have. Email marketing is a great way to keep in touch with your site visitors and myMail makes email marketing easy. SpamExperts offers world-class spam filtering. 99.98% filtering accuracy with close to zero false positives. BuyHTTP data vault protects your valuable site data. It's a free add-on for shared or reseller customers.